Having to to with the slinging together of words in an artful fashion. I am the Artist that Plato warned you of, the one who knows nothing of the True. I know nothing of Generals though I know something of being a soldier. I know nothing of the Politician, though I know something of the citizen. I know nothing nothing of being a Father, though I know something of being a son. 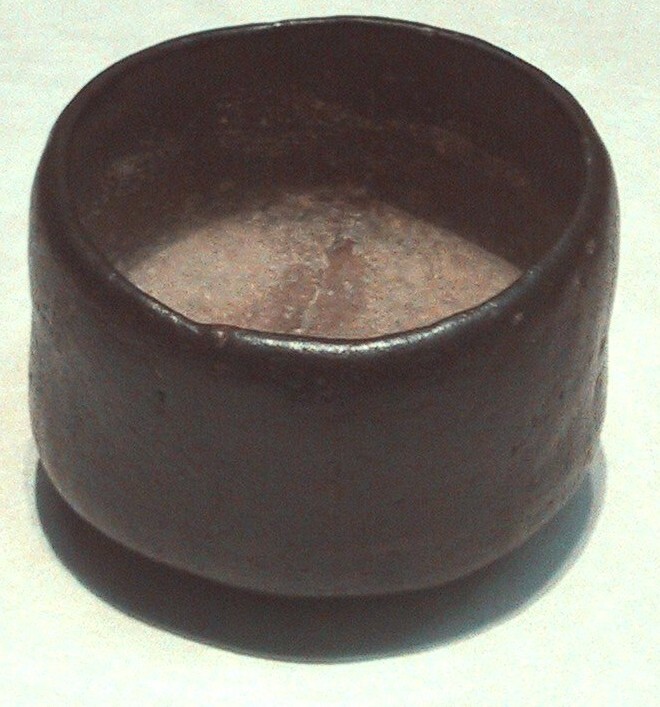 I know nothing of Rikyû and Chôjirô, though I know something of being a potter. I know nothing of Rodin, but I know something of carving stone. By what right? what truth? then, do I pull these essays of mine out of Imagination? Can genius, imagination, and hard work suffice to do justice to Truth? What authority does inspiration alone permit, by what mandate does method and technique warrant such license? With patience, and diligence, I pursue my practice. From master to student, and master to student again, and so by commodious vicus of recirculation, as every Artist since Eve and Adam, I betoken the dissemination of an unbroken lineage leading to the Ur-Source. Is what I am benefit of key to a path as candid as philosophy? God knows. I know not. Can the pearl thief stealing the luster off the pearl from within its unopened shell, capture the very truth of its iridescence? Does the divine something that whispered into Sorceresses’ ear whisper also into mine? What can I make of that? I bend imagination to my sway, not holy convinced I do not err. The beautiful. The good. The true. If I hit one of these marks, does my work suffice? That it is meant to be a daily feature obviously, but what exactly is a ‘Phism’ and why should anyone care? Our buddy Phi, who you have not been subjected to yet on this blog, a rather mercurial and elusive creature who fancies himself a bit of a poet, has taken over the function of editing William’s collection of aphorisms. It’s a long story and you needn’t worry about it until Phi Press gets closer to publishing the miniature book of a collection of said aphorisms. Phi, wise in his own self-serving little way, suggested that the upcoming book be called Phi’s Little Book of Words because no one would ever read [much less purchase] a book called William’s Little Book of Words [ what William proposed]. In this case everyone was forced to agreed that Phi had it right and was perceiving reality more clearly than anyone – even William. Phi, sly creature that he is, then suggested a combining the two ideas together, Phi + Aphorism = Phism a much catchier tag. Since we are also all about linguistic boundary dissolution around here we all had to agree it was much the catchier name as well. And why should anyone care? We haven’t worked that out yet, but maybe you have some ideas yourself that you can suggest in the Comments. An ideology is a self-referential system of answers based on self-limited set of questions. A Very Important Question Answered-The unabridged and authoritative answer to the question, Who was Tom Bombadil?